Headaches plague an estimated one-half of all adults in the U.S. each year and are the most common reason people see their doctor. They come in different sizes, varieties and have a number of causes, but many can be prevented or alleviated by paying a visit to Dr. Gregg Anderson. D.C. at Anderson Chiropractic in Sacramento CA. Headaches are classified as either primary or secondary. Primary headaches have a direct cause, such as from blood vessel issues, tense muscles or aggravated nerves in the head and neck area. Typical primary headaches include migraines, cluster headaches, and tension headaches. Dr. Anderson specializes in helping patients with their primary headaches, especially tension and/or injuries in the neck and upper back muscles. We start with a thorough examination, often including specific digital x-rays of the spine to determine the best way of treating your symptoms. Any misalignment in the spine could cause tension and irritation in your neck which could subsequently be causing your headaches. Through chiropractic adjustments, our goal is to prevent your headaches altogether and reduce the headaches to a minimum to none. We here at Anderson Chiropractic are proud to own our own patented revolutionary treatment tool, the VDP-PRO. This hand-held device gives us the power to relieve common, yet previously challenging back and neck problems. We focus on releasing the tension in the muscles that attach the upper neck to the back of the skull, adjusting the top vertebra, and then often use the VDP-PRO to re-balance the neck and relieve the disk pressure in the lower cervical area. The result has been tremendous and almost immediate headache pain relief for many of our patients. Using this novel approach and instrument we have even been able to successfully serve patients whose headaches have not been otherwise been alleviated. In some cases, patients do indeed experience immediate relief from their headache. The actual time before you experience full relief will depend upon the cause of a headache. We find that chiropractic adjustments for people whose headaches are triggered by tension or irritation in the neck and head often receive immediate relief with spinal adjustments. Use ice-packs directly applied to your headache. Put a heating pad on tense shoulders and neck to soothe muscles. Ask someone to massage your neck. Lie down flat in a quiet, dark room with only a small pillow under your neck. Be careful about using pain-medications unless specifically recommended by your M.D. Set up an Appointment with Dr. Gregg Anderson DC. 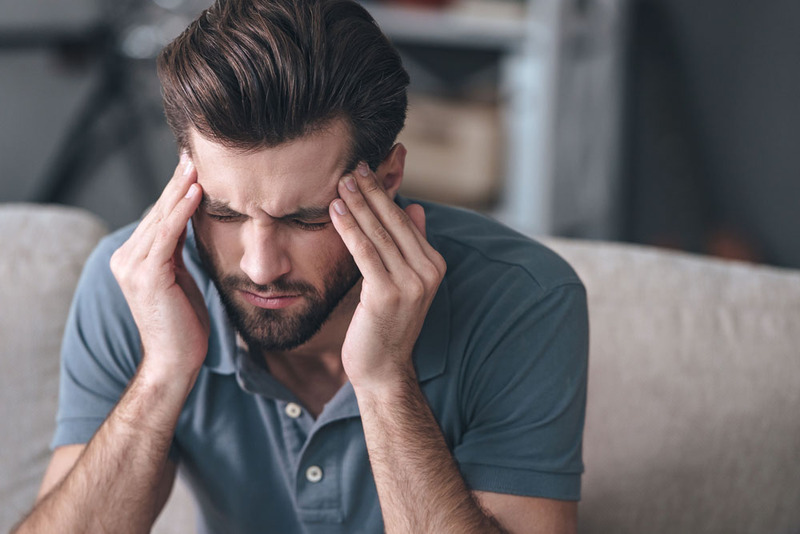 Whatever the cause of your headache, Anderson Chiropractic Clinic is Sacramento’s foremost center for alleviating your headaches and restoring your life to one without pain. Give us a call today at 916-485-5433 to set up a consultation with Dr. Anderson about ways to treat your headaches.